One Wire (OW) communication is not as much as popular as I2C, SPI or serial communication. However, there are a number of devices that use one-wire communication method. DS18B20 digital temperature sensor from Dallas is one such example. For OW communication, we do not need any special hardware. Only GPIO bit-banging is all that is needed. Additionally, we can use a timer if we do not want to use software-based delays. These notes are all that are needed for implementing the one wire communication interface for DS18B20. Please go through these notes. The codes are self-explanatory and are implemented from the code examples in these app notes. Hi shwon, I’ve been trying to run oled dosplay but I have a problem . The program get stucks in “OLED_init()” function. I think it’s due to “OLED_write”function. I think it get stucks in one of those while loops in this function. Do u have any suggestion? How can I fix this problem? Is it a SSD1306/SSD1309-based OLED display? Yes it is,, just it’s a bit different with your display. I’ve tried these address bytes: “0x78 , 0x3C, 0x3D” they didn’t work… the scl and sda pins were pulled up with 4.7k resistor. I don’t know what should I do?? Is it a red PCB OLED? I asked so because some I2C-based OLED displays don’t work properly…. Many are fake one…. I had one such display and if you keep powering on and off our MCU + such OLED board several times, it will work…. I am trying to use i2c LCD but I am stuck in one place. Hi sir, I use stm8s003f3p6, I want to run oled display, but I have an issue about stack memory. I’ve switched it to long stack memory but it doesn’t change.what should I do? 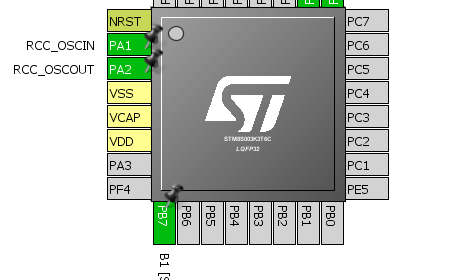 I think this type of stm8s has’nt got as amount as stack memory I need. Switch to chips of higher memory capacities…. This chip can’t be used to drive an OLED screen…. 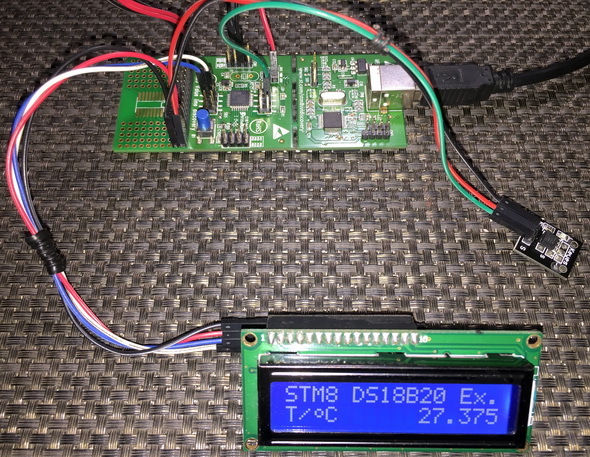 Hi shawon; I want to run OLED display but I have an error as follow: “bass size overflow(768)” I try with all type of stm8s microes but it’s not changed… I switched memory model to long stack memory. What should I do? If you have switched to STM8s with larger memory capacities and have used long stack model then you are doing something wrong elsewhere…. What about pull-ups on SCL and SDA lines? Are you sure that your PCF8574’s I2C address is 0x4E? I am trying without I2C module but still, nothing is showing on display. If the I2C address is wrong then it will get stuck since there is no timeout applied…. In tutorial it is not showing for pull up SDA and sck. The address of is 0x27 I have tried with this also. I have also tried without i2c but that’s code is also not working . Hmm first thing I guess is either the LCD is broken or you are trying with wrong I2C address… Be sure of the chip embedded in the I2C-LCD module…. Some come shipped with PCF8574 while some are shipped with PCF8574A…. These have different I2C addresses…. Secondly, in the tutorial pull-up is shown in the I2C-LCD module’s schematic and by the nature of I2C communication pull-ups are must…. It should be there no matter if specified or not…. I have pulled up SDA and SCL line by 10K and I have checked i2c address 0x27 is correct for 16×2 LCD. My LCD is not broken. I have checked the same LCD on ARDUINO same address it is working fine but in STM8s it is not showing anything. 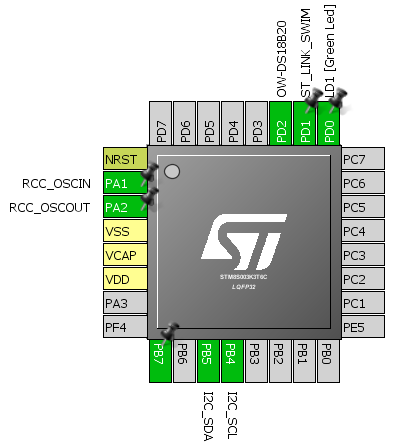 Are you running the STM8 with 3.3V? If so then the LCD won’t work with 3.3V power…. Either supply the LCD with 5V or use a 3.3V compatible LCD…. I am using 5VDC for LCD 16×2 from Stm8s board itself. I have tried with 2 different LCD both not working. My stm8s board is working on 3.3vdc only. I have debugged the code as per my knowledge the I2C->SR1(shift register) is not updating. it is showing 0 but it should be 1. The address is correct 0x3F. But my question is why is LCD with or without I2C LCD was not showing any data. I know that for I2C I have to use PULLUP both line. But if we use without i2c we don’t want PULL UP but here also it is not showing anything on Display. Please help me with this thing. As of all the previous conversation and this one, I have no idea why is it not working…. specially I don’t understand why I2C->SR1 is not properly working…. I would suggest that you slow down your system clock and update the code according to system clock setting…. Most LCDs don’t work when their data update frequency is above 250kHz…. The address of PCF8574A is 0x3F. I tried it also with pull up resistance 10K but no result. Please send me your mail id for this I2C problem discussion. Hey; thanks a lot for your prefect article, could you send me please the delay libraries I haven’t got the right version of them, I have an error about “delay_cycle()”. I didn’t use delay cycle in my library…. Are you using some other compiler other than Cosmic + STVD? Look up at “one_wire.c” you used “delay_cycle(1)” three times. When I compile it I get this error: “missing prototype” .I use cosmic + stvd such as you. yeah but it is not a part of delay library…. it is built-in with the compiler…. So why my compiler doesn’t know this script?? I use stvd and cosmicc.. do u have any idea? Can I use another function instead lf it?? Or could you send me this function. Is it a part of “stm8s.h” ?? Shawon I’m sorry to bother you, but I can’t run ds18b20 with this code. Lcd shows meaningless character with this clock cpu you were configured, I configured CPUDIV4 and it worked but it only showed “4095.9” I’m sure about hardware … can u help me? What more I can do to fix it?? Have you use pulled up the data pin? Did you try with my code? With my code does it work or not? I’ve just coppied your code , at first complier didn’t find delay_cycle funcion then I replaced it with a while loop such as you said, after that I had to reduce the cpu clock cause LCD didn’t working properly(according to you most LCDs have a maximum working frequency of 250 khz.) at last I gave the wrong temprature from DS. I’ve pulled up the data line with 10 k res. I didn’t mean that you copy my code and retry…. I meant that you check with my hardware connections and my finizalied debugger file “ow_ds18b20.s19” from the debug folder…. If there is still any issue then it is likely a hardware issue or else you are doing something wrong…. Really outstanding library! Thanks for helping out. I am using the STM8AF5288 so made some changes and worked like a charm. but the issue i am facing right now is the font size. is there any available font library that could be replaced to get bigger fonts? and If possible can you explain how the font is being created on the ssd1306, I mean the way the pixels are being drawn using the hex code (in the font.h file). Really outstanding library! Thanks for helping out. I am using the STM8AF5288 so made some changes and worked like a charm. but the issue i am facing right now is the font size. is there any available font library that could be replaced to get bigger fonts ? and If possible can you explain how the font is being created on the ssd1306, I mean the way the pixels are being drawn using the hex code (in the font.h file). There are several OLED libraries available in the internet with big fonts but I’m happy with this font size to make maximum use of the display…. Thus I didn’t go for development of libraries with big fonts…. thanks for the quick reply, But the thing is that i am facing a issue with that of the draw bitmap function. but the issue is that my image does gets generated but it gets back to blank screen within a 500ms or so. can you please help with the same. This was the original code but yours seems to be modified in the for loops…. Please recheck unless it is intentional…. both the loops are the same. I did not make any changes in the original code but the bitmap image seems to get printed on the screen but it gets instantly blank within 20ms. can you help me for the same. Could you send me the whole code? I think there is an overflow somewhere…. How can i change the font size so i can support for example  ? Saw some libraries on the net but i am not sure if they are compatible with this code… or am i doing something wrong ? I tried manipulating the current one with some cycles within ” OLED_print_char ” also chaning 0x06 to 0x0C with a font library also tried creating fonts but i did not get the expected result. Can you give me some advice please ? It takes care of the y-coordinate part once the x-coordinate points are filled up…. Can you post code for interfacing external eeprom using i2c for stm8s003f3?? I have demoed several I2C examples in my write up…. It should be easy now to interface any I2C device with STM8…. However, I didn’t demo 24Cxx series EEPROMs because codes for these memories are widely available online…. 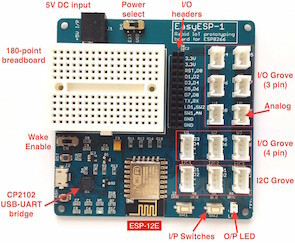 Here is one such link: https://github.com/VincentYChen/STM8teach/tree/master/code/Project/STM8S_StdPeriph_Examples/I2C/I2C_EEPROM…. Outstanding bro. Carry on. Wish your good luck.